Within a few weeks, Publishers’ Graphics will be launching a new bookselling website called PG Direct. This e-commerce site replaces the existing PG Bookstore and will have a new domain. PG Direct is a new sales channel that features a well-designed shopping experience aimed at the consumer. By eliminating multiple steps in the book printing and selling process, we’ve simplified the supply chain, making it easier to order, print and distribute your book. PG will offer discounted retail pricing, free USPS shipping, and fast production and delivery times for titles in this proprietary catalog. With its singular focus on books, PG Direct offers an attractive alternative without distractions from unrelated products and content. Publishers will especially benefit with an additional sales channel that provides more exposure and visibility for their titles. What does this mean for my book? The PG Bookstore (www.publishersgraphicsbookstore.com) will no longer exist as of late July. If you are a current retail or wholesale bookstore customer, you have an opportunity to include your book in this new sales channel. 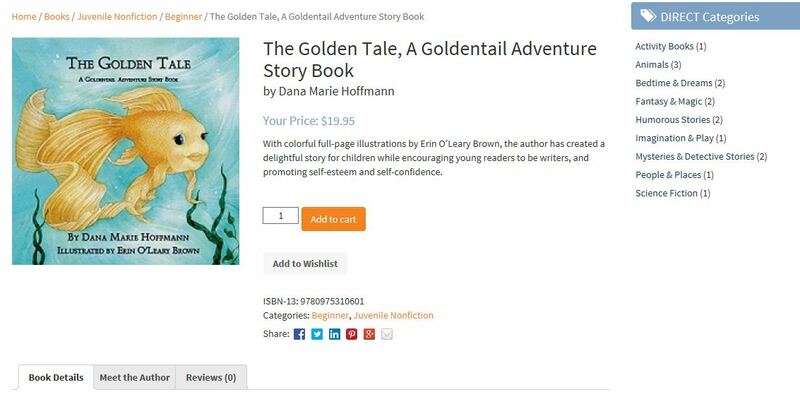 Just like before, each title will consist of a personal storefront with book image, description and a retail price established by you. There’s no cost to list your book, and we’ll handle all the transition details. What’s in it for me? It’s a unique opportunity for you to reach a broader audience. Along with a fresh, up-to-date look, the new site is considerably more powerful than our current bookstore with robust search capabilities. Plus, we’re investing in online search engine marketing so that more customers can discover, purchase and enjoy your titles. In addition, advertising and promotional opportunities will be available to feature your books. What if I don’t want to participate? That’s okay; you’ll still be able to easily order your titles via our customer portal on the PG website. Our new Reprint Center enables you to quickly log-in, view your titles and order, all with a few clicks of your mouse. When will this happen? Very soon! We hope to go live with the new site within a week or so. What are the next steps? If you wish to participate, there are some easy forms to fill out. Give us a call and we’ll email them to you. If you have questions, please email:: choffmann@pubgraphics.com or call 630.221.1850.